The first book dedicated to explaining the structure, life cycles and growing habits of wild flowers, how to go about identifying specimens, where to find them and how to enjoy wild flowers to the full. The essential companion to a field guide. This book is something quite new: the first book dedicated to explaining what wild flowers are, how to go about identifying specimens, where to find them and how to enjoy wild flowers to the full. It is not another fieldguide but is the essential companion to any of the many fieldguides to wild flowers currently available. Flowers in the Field is a pioneering book that opens a door into the fascinating realm of wild flowers. It takes the general reader at an easy walking pace from the basic characteristics of flowers through various techniques for identifying them. It explains why plants have different habits and grow in different places. Along the way, it looks at how the plant kingdom is organised, the use of botanical keys, ways wild plants can be protected, stories of individual species, and plenty more. There are boxes at intervals featuring points of interest and anecdotes. The book is copiously illustrated with photographs and diagrams throughout. Most of the photographs are by Polly Pullar, an established and accomplished photographer specialising in wildlife and countryside images. If you wanted to take up birdwatching, you would find plenty of books giving you the background to get started – books that don’t replace fieldguides but complement them. However, if it’s wild flowers you are interested in, up till now a fieldguide was all you would be offered. I have written the book I would like to have had when I first took an interest in wild flowers. `Flowers in the Field’ tells you how to choose a fieldguide and how to use it constructively; it explains what you need to know to identify an unknown plant and provides strategies for doing so; it has lots of tips, anecdotes and `insider’ knowledge to impart. But it’s not a textbook, full of long words and difficult concepts. It is meant to be enjoyable to read and shows that botanising is fun to do. 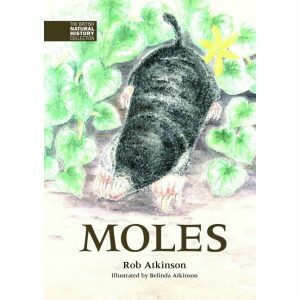 On the other hand, although it is suitable for young people, students and novice adults alike, it doesn’t talk down to you – it’s for any intelligent reader who is keen to learn more about wild flowers.Flowers in the Field is a pioneering book that opens a door into the fascinating realm of wild flowers. It takes the general reader at an easy walking pace from the basic characteristics of flowers through various techniques for identifying them. It explains why plants have different habits and grow in different places. Along the way, it looks at how the plant kingdom is organised, the use of botanical keys, ways wild plants can be protected, stories of individual species, and plenty more. There are boxes at intervals featuring points of interest and anecdotes. “The cover epitomises the excitement of coming across a group of iconic plants – we think we know what they are, and then – suddenly there are doubts. We have read that there are several types of red poppies. Which one do we really have here before us? “Faith Anstey’s book will help you answer questions like this. It is thoroughly enticing – beautiful photographs, interesting diagrams and simple, but perfectly explained sketches. The book is an introduction ‘to finding, identifying and enjoying wild flowers’. Faith explains that when she started out exploring wild flowers and wanted to know their identities, she couldn’t lay her hands on a suitably helpful book. Thirty years on she has written the book herself! All her years of experience and enthusiasm come over. She has been fortunate, too, in working with photographer Polly Pullar. “For those who are more than a little interested and intrigued by the world of wildflowers around us, this book is a breath of fresh air. 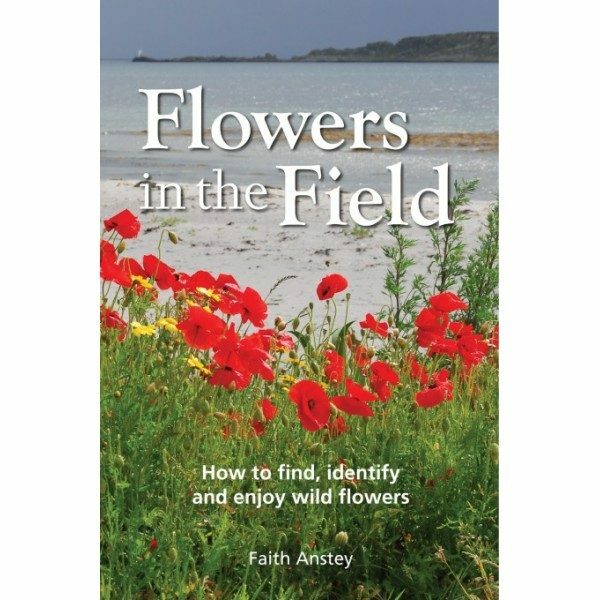 Its author, Faith Anstey, presents the reader with a large body of assistance in finding and identifying wildflowers. Divided into several chapters, the book helps the reader to understand what constitutes a `wild’ flower (as opposed to a garden plant), the make-up of flowering plants, some of their habitats and their distribution throughout the British Isles. 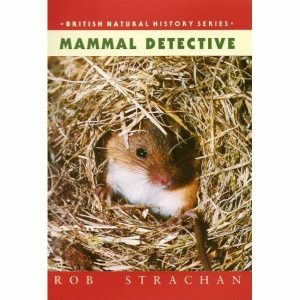 It also dispenses a myriad of facts – country lore, how plants have travelled to our shores, reasons for common names of wildflowers – about so many individual species under their photographs. “Plant classification can be quite a mystery until you read the chapter on the plant kingdom and its many divisions. Setting it out as a family tree makes it clear how plants are classified and the author also explains why so many names can be understood by roughly translating their Latin version. Among examples given are Viola odorata – sweet violet – `odorata’ meaning sweet-smelling. A certain amount of scientific knowledge is obviously necessary in order to get the most satisfaction from a botanical hobby and this aspect is dealt with in the `How Plants work’ section. “I have always tended to be a solitary amateur botanist and have only lately realised how rewarding it can be to become involved in an organisation specifically geared to bring together people who are interested in this pastime. Sharing enthusiasm and information is a two-way thing and is also good fun and, in her `Sources of Help’ section, the author recommends several organisations where one can meet people `on the same wavelength’. “Practical tips are also dispensed by Faith. She suggests keeping a diary of all findings, how to press specimens – very important for identifying difficult species – and also outlines a code of conduct for botanists. “A review of this beautiful book would be incomplete without praise of the superb quality of the photographs which were almost entirely supplied by Polly Pullar. They illustrate various aspects of our wildflowers so clearly and sharply and demonstrate an obvious knowledge and feeling for them. “I am more than happy to review this book as, from the moment I looked at it, I was impressed. Impressed, not only by its straight-forward approach to what can be a very complex subject, but by the breadth of knowledge and wisdom put forward by someone who could be classified by others as an amateur. Let us remember that the word `amateur’ can be defined as someone who is fond of something or does it as a pastime rather than as a profession. I have a feeling that is often used as a pejorative by those who have acquired a qualification in a college rather than `in the field’ and not always fairly so. But I don’t want to end on a negative note – in fact I am positively certain that Faith’s book will be instrumental in helping many readers to make the transformation from the `interested but somewhat bewildered by the terminology in most of our floras’ to progress towards what can be a most rewarding hobby, nay, passion. Zoë Devlin (whose website is a forty-year-old record of the wildflowers found by an amateur botanist, including her own photographs and commentary, Irish and international folk-lore, some herbal uses and literary references). “This book successfully bridges the gap between my existing interest (but limited knowledge) in wild flowers and the joys of nature contained within my fieldguide. “I greedily digested the facts (and photos) about the structure of the plants, how the plant kingdom is organised and how to use botanical keys. I have often flicked aimlessly through the fieldguide to try and spot something that looked remotely akin to the flower I’ve found (or played snap as the author would refer to it!). Now after reading Flowers in the Field I feel equipped with the knowledge base to be able to identify wild flowers with confidence and take the guesswork (and page thumbing) out of the task. It even made sense as I dissected a wild flower myself and made notes about its petals and sepals and so forth and I confidently tallied up these details with the guides contained within, and it was a cinch to confirm my find with my trusty fieldguide. “…This is an unassuming but enjoyable book. It would make a great present for an aspiring botanist, not least as buying a field-guide is too personal a choice to be made by someone else, but this book by contrast will not fail to please. “I think it fills a glaring gap in the types of botany and wild flower books that have previously been available, and aims to guide the beginner/novice botanist through the maze of how to go about identifying the plants that might be found. “The book is most definitely not a field guide, but more of an introduction to the “how’s”, “why’s” and “where’s” of wild flowers. There are sections on exactly what wild flowers are, how they work, where to look, naming of plants, getting involved, sources of help, etc. etc., all of which are subdivided into more specific areas. (for example the Name that Plant section includes detail on how plants are classified, the use of field guides and keys, strategies for identification). “It contains quite a few line diagrams, and a substantial number of good quality photographs. The narrative is easy going, mainly a layman’s terminology style, and contains a plethora of tips on plant characteristics and the features that should be looked for to gain a better chance of identification.